Cashew nut is a delicious popular snack – its rich flavour is liked by many and often eaten raw, roasted, lightly salted, sugared or covered in chocolate. It is a great accompaniment for tea, soft drinks and hard drinks. It is also very commonly used in Indian cuisine. It is put in dishes like Pongal, sweet payasam, kesari and more. Can you imagine that they add cashew nut with brinjal and make a special dish in Andhra ! There is also a popular country liquor in Goa known as Fenny or Feni, which is made from the juice of cashew apple. Cashew in also harvested in tender form before the hardening of the shell and used in Kerala cuisine including aviyal. Clement Richard Attlee, [1883 –n 1967] was a British statesman of the Labour Party who served as Prime Minister of the United Kingdom from 1945 to 1951 and Leader of the Labour Party from 1935 to 1955. In 1940, Attlee took Labour into the wartime coalition government and served under Winston Churchill, becoming, in 1942, the first person to hold the office of Deputy Prime Minister of the United Kingdom. He went on to lead the Labour Party to an unexpected landslide victory at the 1945 general election. Attlee dangled with the idea of granting of Independence to India and Pakistan in 1947. Attlee in 1928–1934 had been a member of the Indian Statutory Commission, called the Simon Commission. He faced strong resistance from the die-hard Conservative imperialists, led by Churchill, who opposed both independence and efforts led by Prime Minister Stanley Baldwin to set up a system of limited local control by Indians themselves. During the Second World War Attlee was in charge of Indian affairs. He set up the Cripps Mission in 1942, which tried and failed to bring the factions together. When the Congress called for passive resistance in the "Quit India" movement of 1942–1945, it was Attlee who ordered the arrest and internment for the duration of tens of thousands of Congress leaders and crushed the revolt. He also arranged the independence of Burma (Myanmar), and Ceylon (Sri Lanka). His government ended the British Mandates of Palestine and Jordan. From 1947 onwards, he and Bevin pushed the United States to take a more vigorous role in the emerging Cold War against Soviet Communism. In 1949, he promoted the NATO military alliance against the Soviet bloc. He retired after losing the 1955 general election and was elevated to the House of Lords. Tanzania is a country in eastern Africa within the African Great Lakes region. It borders Uganda, Kenya, Indian Ocean to the east, Mozambique and Malawi, Zambia, Rwanda, Burundi, and the Democratic Republic of the Congo. The name "Tanzania" was created as a clipped compound of the names of the two states that unified to create the country: Tanganyika and Zanzibar. The cashew tree (Anacardium occidentale) is a tropical evergreen tree that produces the cashew seed (nut) and the cashew apple. Said to be native to northeastern Brazil, it is grown in many countries including India. The Tanganyika groundnut scheme, or East Africa groundnut scheme, was a failed attempt by the British government to cultivate tracts of Tanganyika (modern-day Tanzania) with peanuts. Launched in the aftermath of World War II by the administration of prime minister Clement Attlee, the project was finally abandoned as unworkable in 1951 at considerable cost. The fact that the region's terrain and rainfall were totally inappropriate for growing groundnuts, as well as the project's ultimate cost and failure, led to the scheme being popularly seen as a symbol of government failure in colonial Africa. The President of the United Republic of Tanzania is the head of state and head of government of Tanzania. Its first President was Mr Julius Kambarage Nyerere; succeeded by Ali Hassan Mwinyi, Benjamin William Mkapa, Dr Jakaya Mrisho Kikwete and presently - Dr John Joseph Magufuli 2015. As one of the largest Cashewnut producers in Africa, Tanzania's cashew nut exports provide ten to fifteen percent of the country's foreign exchange. The country is the eight largest grower of cashew nut in the world and ranks fourth in Africa. The country provides 20% of Africa's cashew nut and only trails in production of Nigeria, Cote D'Ivoire ,and Guinea-Bissau, according to figures released in 2012 by United Nations Food and Agricultural Organisation (FAO). The cash crop is usually cultivated in the southern coastal regions of the country, near the towns of Mtwara, Kilwa and Dar es Salaam. The sale and marketing of the product is run by the Cashewnut Board of Tanzania, through various farmer co-operatives. A very high percent of the exports are destined for India and almost entirely in raw form. Tanzanian president John Magufuli has been in the news since last weekend for three main reasons, firing two ministers, ordering private cashew nut buyers to up their prices failure for which he ordered government to purchase all the harvests earlier this week. Magufuli had previously stated that if concerns were about where government was going to get the money to pay the farmers, then there was no cause to worry. “If private buyers fails to respond to the government and tell us how many tonnes they will buy by Monday, the government will buy all cashew nuts and we have the money for it,” he said. November 13 was the deadline given the 13 private buyers, their failure to abide led to the decision by government to intervene. A number of players wondered how the government planned to deal with the crops. It turns out that army is at the head of a multi-sector approach to ensure that farmers are not shortchanged and that the country will effectively get value for the cash crop. The army was deployed to collect the crops on Monday but their job does not end there according to a CGTN Africa correspondent in Dar es Salaam. The army’s intervention also includes storing of the crops and ensuring farmers are paid. On the level of processing, a plant located in the southern region where most of the cashew are grown is to be handed over to soldiers to start processing of the nuts. The plant which has a processing capacity of 20,000 tons of cashew was seized by state after the owner failed to run it. 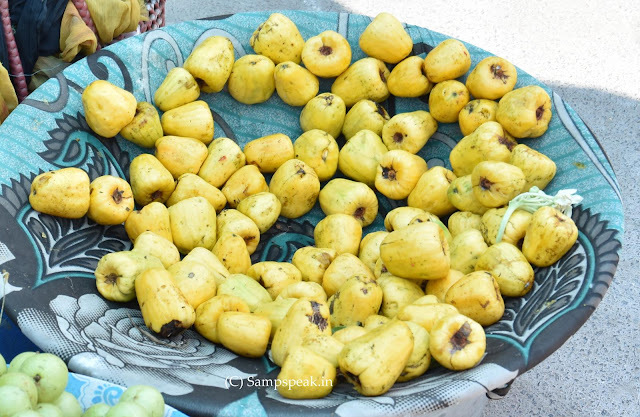 Other orders the government via the president has made is that aside purchasing all the cashew, the Tanzanian Agriculture Development Bank is to ensure payments for the crops at the said price of $1.3 per kilo. “Experts in the sector suggest that it might be a bit too early to see the impact of this decision. Cashew nut export is Tanzania’s biggest source of foreign currency. This standoff between the farmers, traders even government can have significant economic ramifications. “Tanzania cashew nut export provides 10 – 15% of the country’s foreign exchange, it is the eighth largest grower of cashew in the world, the fourth in Africa and more than 90% of the exports are to India. Not sure of its impact yet, the news is Tanzanian president John Magufuli has ordered the army to buy up the entire country's crop of cashew nuts after private companies refused to pay the price fixed by his government. In the process, Magufuli fired Agriculture Minister Charles Tizeba and Trade Minister Charles Mwijage for "failing in their obligations" to the cashew industry. Magufuli ordered soldiers to buy up the nuts at $1.44 (€1.28) per kilogramme, higher than the price companies were willing to pay, according to a government statement issued Monday. Magufuli ordered in October that the price of cashews be almost doubled from $0.65 per kilogramme, a price farmers said barely covered their production costs. The president blamed "the procrastination of private operators, who were offering very low prices" for cashews - among the country's biggest cash crops - for the decision to send in the army. The state-owned Tanzania Agricultural Development Bank was ordered "to release the necessary funds for the purchase of these cashews, and the army is to deploy to buy the entire production," the statement said. Since his election three years ago Magufuli has picked numerous fights with private businesses that he accuses of giving Tanzanians a raw deal. The state-owned cashew processing plant - where raw nuts are shelled - is also to be taken over by the army. Magufuli's government is hoping for a crop of 220,000 tonnes this year. Tanzania’s plan to buy the country’s entire 2018 cashew nut crop could lead to a global shortage, with processors in Vietnam and India likely to be hit first, traders said. Not only because the Govt is trading with crops now, but more for the 94% increase, Tanzanians would eat the nuts themselves if they could not sell them, Magufuli said, raising concerns that the nation’s most valuable export crop will not reach global markets. Cashew traders were caught by surprise by Magufuli’s decree on Nov. 12 and Ian Dyas at London-based CG Hacking said the move would drive prices higher in India, a major processor and consumer of the nuts, and top processor Vietnam. No other country harvests during the same period as Tanzania, said Gupta, who imports from Ivory Coast, Africa’s biggest cashew producer, for processing in Vietnam and India. Earlier, Cashew kernel prices had dropped to $7,500 per ton from $9,500 at the beginning of the year. Next time you order laddu or payasam in a sweet stall, you may find that your bill has increased substantially – global impact !